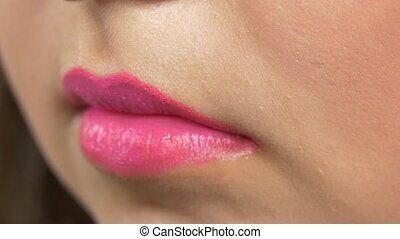 Blushing cheeks. 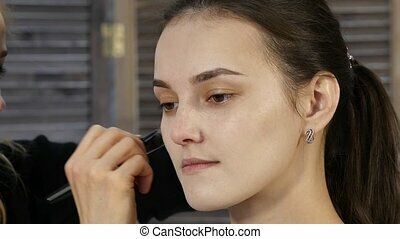 Close up of pretty lady applying make-up on her face. 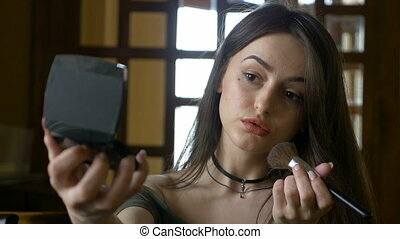 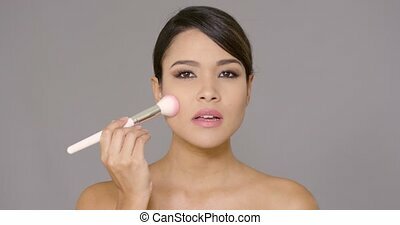 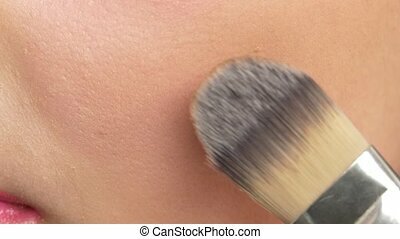 Close-up of professional make-up artist doing everyday makeup, puts powder on womans cheeks with brush.